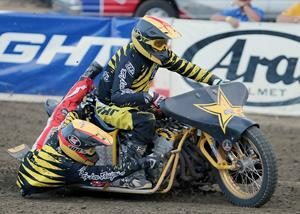 National speedway champion Billy Janniro continues to own the scratch main event at Fast Fridays Motorcycle Speedway in Auburn Ca. this season. 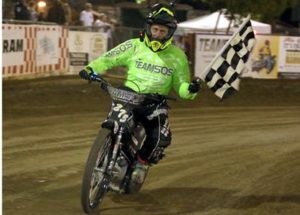 Janniro won his third scratch main event in three weeks winning with confidence and style crossing the finish line on his back wheel with each win. This week Janniro was challenged by Auburn’s Tommy Hedden who has made the scratch main event every week so far this season but has been unable to wrestle a win from Janniro. Also vying for the fastest man of the night crown in the Division I final was Charlie Venegas and Bart Bast. Janniro drew lane one, Venegas sat in two, Hedden was in three and Bast on the outside in lane four. As the tapes went up Janniro got to the inside in turn one with Hedden fast on his back. Bast rode higher on the track on the outside just behind Hedden and Janniro. From the first turn on it was clear that it was Janniro’s race to lose. Hedden dogged him a little hoping for an error from the champ that never came. Janniro pulled away from the pack looking over his shoulder from time to time to check on Hedden and the others but took the checkered flag without challenge. “We have some new bikes this year and we’re getting them dialed in, it’s new to me, new engines so you have to figure them out, they’re looking pretty good,” Janniro said. Seventeen year old Blake Borello won his first Division I main event at Fast Fridays taking top honors in the handicap main event. Borello won his heat race then took second in the semi advancing to the main. Chance Grove riding off the 10 yard line was second and Ryan Bast was third. 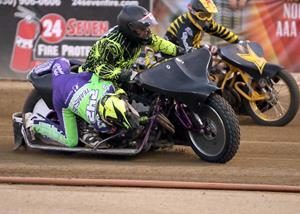 The Extreme Sidecars, those crazy riders that pair up on 1000cc three wheeled bikes hitting lightning speed, made their first of four appearances at the Fast Friday’s dirt oval in Auburn thrilling fans that filled McCann Stadium to welcome them back. Three of the four teams traveled from Southern California to compete. 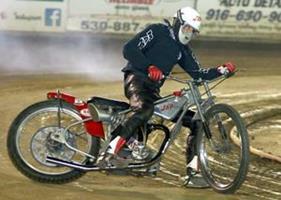 The team of Joe Jones and Chuck Heider took the sidecar main event. Jones/Heider won three of their four heats dropping the win in the first heat with a second place finish. 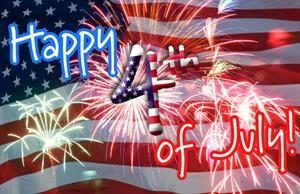 In the main event the team of Jeff Rowe and Josh Bennett finished second, Bryan Motis and Eric Hernandez was third and Robert Curry and Lori Curry finished fourth. The Extreme Sidecars are a track favorites and this visit was no exception thrilling the crowd with their outrageous style of racing. “It rained this morning but the crew at Fast Fridays did a heck of a job working the track, it turned out to be a great race track,” Jones said. “I think the fans got a heck of a show with the sidecars, a lot of good inside-outside racing, the teams is all getting faster and faster,” he said. Davey Shaw picked up his first main event win in the Division II finale. Shaw stayed ahead of Matt King who finished second and Blake Borello who was third. Auburn’s Dakota VanderBroeder conquered Division III with the first main event win of her career. Its VanderBroeder’s first year out of the youth divisions and on a 500cc bike. 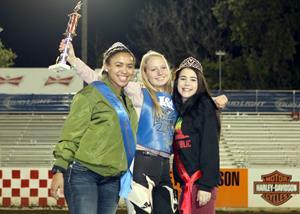 She finished second in the Division III main event in week one at Fast Fridays. 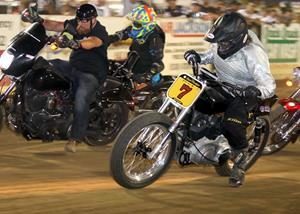 Riding off the zero line VanderBroeder held off Division III speed demon Sammy Tetrault who won the first two Division III main events of the season and finished second Friday night. Peter Pecorilla was third. “This is my first win ever, even on the 250’s, it’s pretty amazing,” said VanderBroeder. Landon Norton picked up his first main event win of the Fast Fridays season in the Youth Main Event. Norton held off Cameron Krezman who won the youth main event last week. Krezman was second and Dylan Wagner was third. Greg Moore took the youth consolation main event, Alex Martin was second, Charlie Trana was third and Colton Nelson fourth. 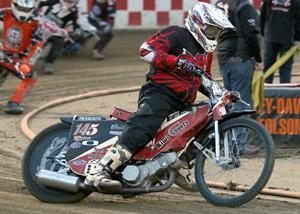 Speedway racing action continues this Friday and every Friday night through-out the summer at the Gold Country Fairgrounds. Billy Janniro checks over his shoulder in the scratch main event Friday night. Janniro won his third scratch main event of the 2018 Fast Friday’s season. 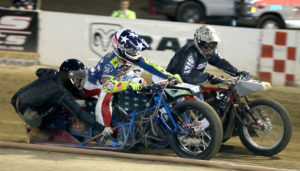 Joe Jones and Chuck Heider (right) lead Robert Curry and Lori Curry (left) in a sidecar heat race. 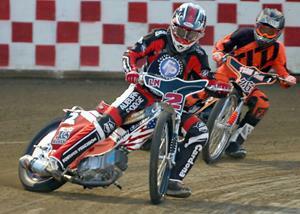 The sidecars thrilled the Fast Friday’s fans on their first of four season visits. Dakota VanderBroeder celebrates her first main event win ever in the Division II main event Friday night with the Fast Friday’s trophy girls. VanderBroeder is the only woman currently racing at Fast Friday’s. Georgetown’s Blake Borello won Fast Friday’s handicap main event Friday night, his first main event win of the season. -Landon Norton won the Youth main event, his first of the Fast Friday’s season. Davey Shaw won the Division II main event. 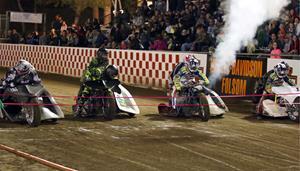 The start of the sidecar main event, the team of Joe Jones and Chuck Heider (far right) won the race.